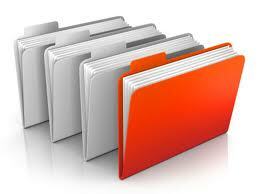 Many websites upload a whole bunch of different file types to their website(s). This is done so easily through WordPress, that people feel compelled to put anything and everything up. Great, right? Yes and no. Doing so leaves you with a media folder jumbled with a whole bunch of different file types that have less categorization than one would like. What if you have a lot of PDF files uploaded with your extensive image collection? No filter exists to show ONLY the PDF files (as of right now) so you have to dig through everything to find what you’re looking for OR use the search function (assuming you even know the file name). Luckily, adding new filters to the media library drop down is easy. 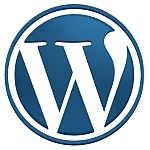 This code is from WP Tuts — so thank them for it! zip, rar, js, css, bmp, jpg, svg, png, exe (bad! ), wav, mp3, wmv, wma, fla, flv, swf, doc, docx, txt, mp4, mov, ppt, pptx, psd, xls, xlsx, ico, msi, etc! I don’t recommend making it overly bloated though, as then it just gets crowded in there, but that’s up to you. Edit: Just in case you are curious on how to group certain extensions together in one category, then check out the below example I created. It groups PDF, DOC, and DOCX together. As you can see, all I did was add a coma (delimiter) for $post_mime_Types and added a mime type for DOC and DOCX. Thanks. I’d been looking for how to group extensions. This worked beautifully once I replaced the comma as delimiter with a vertical bar | ….